Elijah Streams: How to Unlock God's Secrets for Your Life - Hidden in Your Dreams! How to Unlock God's Secrets for Your Life - Hidden in Your Dreams! We have a double treat for you today — with Cindy and her husband Tim McGill! Many of you have heard of me speaking about Cindy McGill — that she is the real deal and really gets it! She is one who goes into the darkest places many wouldn’t go into — to share the Gospel and the love of Christ —and she uses her gift in “Dream Interpretation” as an open door to reach the lost. • Learn that God chooses to speak personal messages through your dreams because it's a secret weapon for your success. • Understand the many “different types” of dreams you can have and practical steps in helping yourself and others interpret their dreams too. • Receive new and fun techniques to share the Gospel while compelling the hurting people to finally encounter Christ. Also we put together a new and exciting offer by Cindy McGill exclusively for our Elijah Steams viewers. To view and order their products click here. 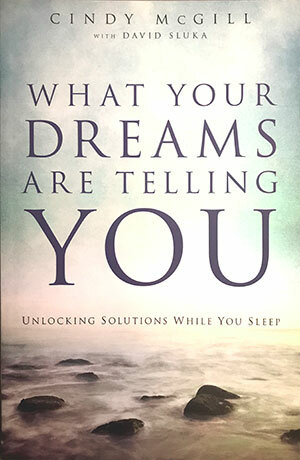 Cindy’s award-winning DVD, “Dreams: A Documentary”, plus THIS 2-CD set and her popular book, “What Your Dreams Are Telling You: Unlocking Solutions While You Sleep” — which will help you to not only interpret your own dreams but others’ dreams too – even those you meet on the street! Cindy McGill’s “Dreams: A Documentary” film is the winner of several national and international awards! Join Cindy and her team as she visits different PUBLIC events – to help dreamers unlock their dreams, giving them clarity and NEW HOPE for their lives! 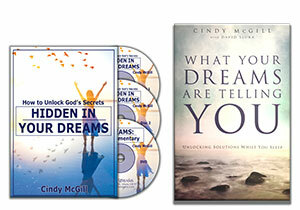 In this “out of the box” package, Cindy and her Dream Team go “undercover” to SOME OF the darkest places in the U.S. to share the love of Jesus WITH hurting people, and uniquely minister to them — through dream interpretation. 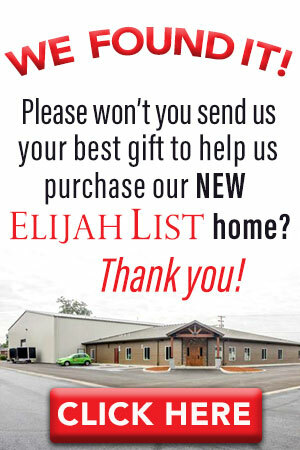 Don’t miss out on this sensational package by Cindy McGill made exclusively just for you – our Elijah Streams viewers!